This inspiring sketchbook is designed to offer artists, designers and doodlers a fun and sophisticated collection of illustration exercises. 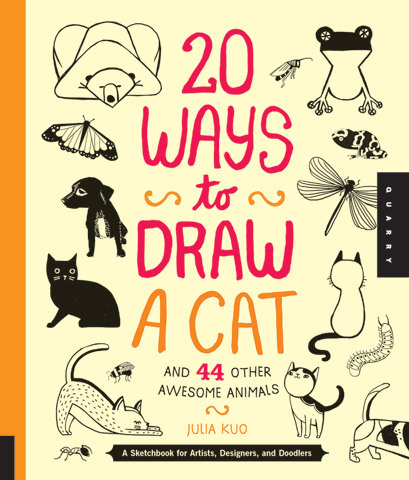 Each spread features 20 inspiring illustrations of a single animal, such as a cat, giraffe, seal, elephant or whale with blank space for artists to explore all different illustration styles. The stylized animals are simplified, modernized and reduced to the most basic elements, showing how simple abstract shapes and forms meld to create the building blocks of any subject. Each of the 20 interpretations provides a different, interesting approach to drawing a single item. Presented in the authors uniquely creative style, this engaging and motivational practice book provides a new take on the world of sketching, doodling and designing. This paperback book is 96 pages in length.